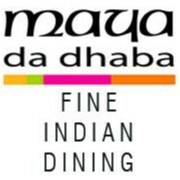 Maya Da Dhaba joined our Mission to help provide access to “Clean Water for All by 2030”. This Mission was initiated by the United Nations. A big thank you to Maya Da Dhaba’s team and customers for joining this extremely important mission on 31 January 2018. "A new find for us. Great menu with all our favorites plus some. Every meal has been delicious. The restaurant is well furnished with a pleasant ambience. Management and staff are most welcoming."